Tall Wicker Weave Hamper Just $9.92! Down From $31! You are here: Home / Great Deals / Amazon Deals / Tall Wicker Weave Hamper Just $9.92! Down From $31! Head over to Amazon to score this “Best-Selling” Tall Wicker Weave Hamper for just $9.92 down from $30.99 PLUS FREE shipping with Amazon Prime or for orders over $25! Doing the laundry becomes less of a chore with useful and stylish hampers for organizing, carrying and hanging garments. 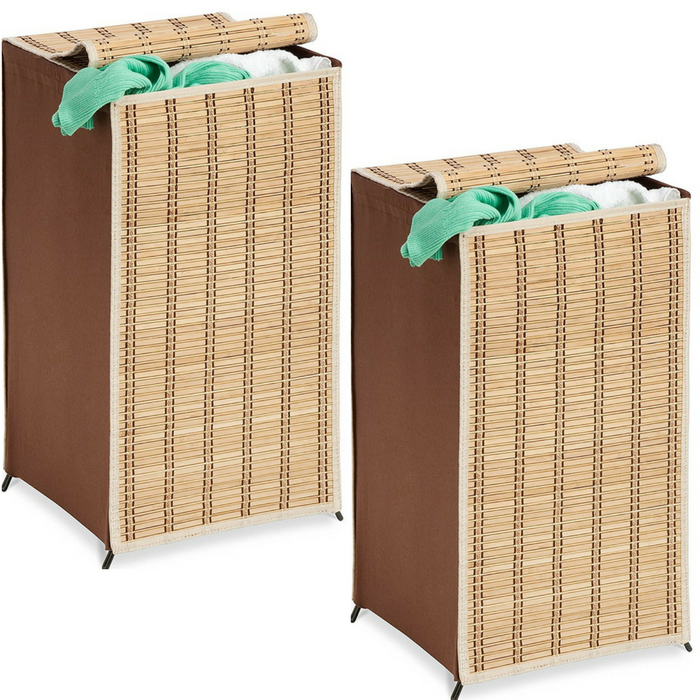 Sort whites, colors and delicates with this bamboo hampers or rolling carts. This is constructed with renewable and sustainable materials and capable of storing multiple loads of laundry.